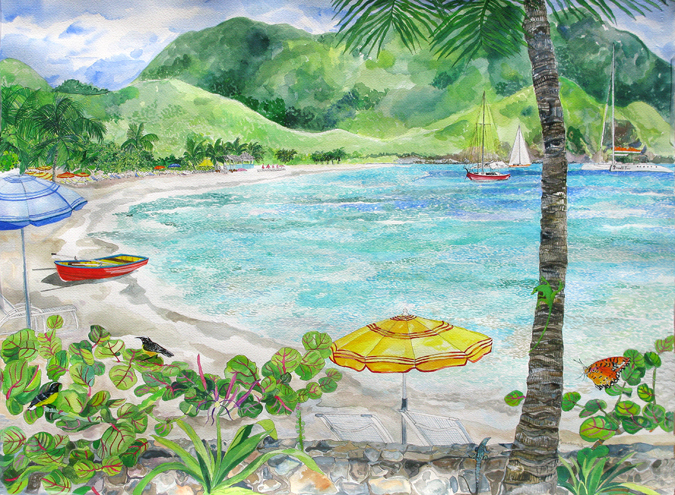 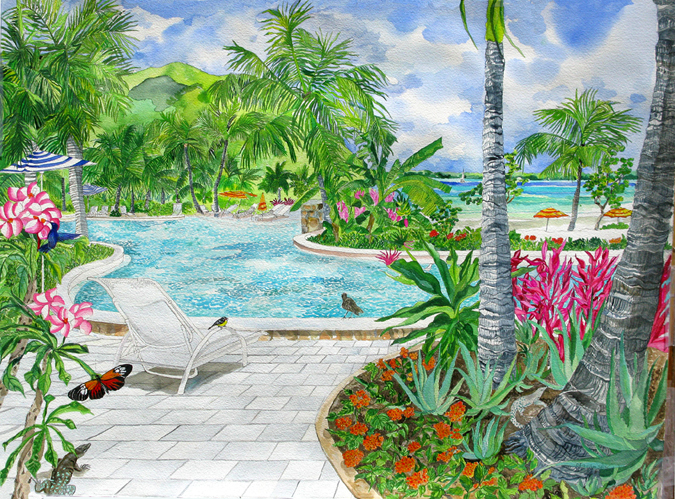 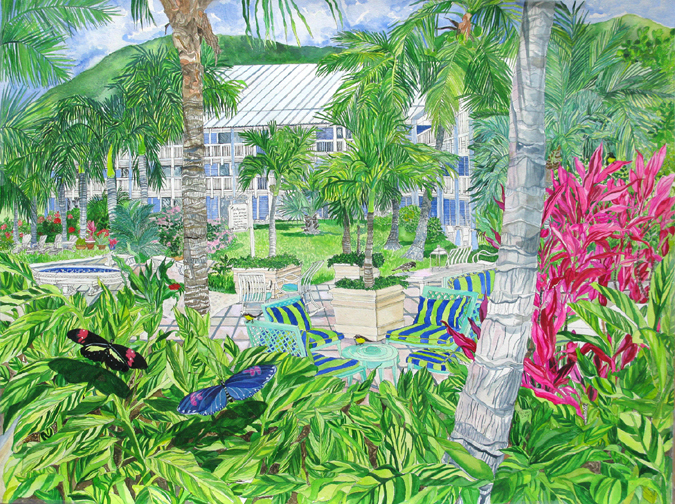 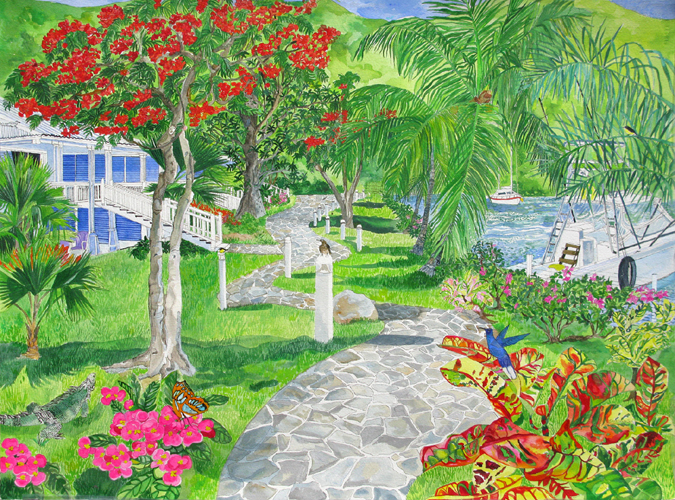 I was commissioned to create and paint 6 original watercolors 22″ x 30″ of the property of the Radisson Blu Resort, Spa and Marina, St Martin ( French Side). 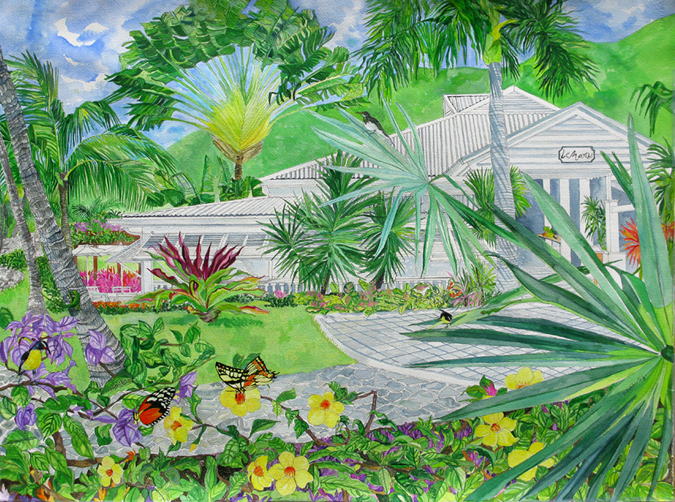 I was flown down to the property and lived there for 8 days drawing and painting . 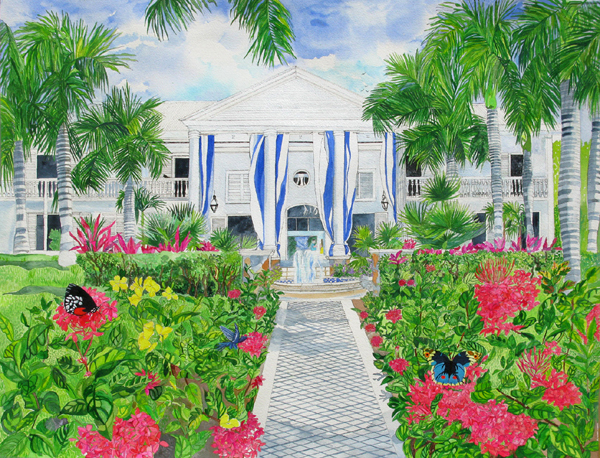 The following watercolors were created over a 3 month time span.